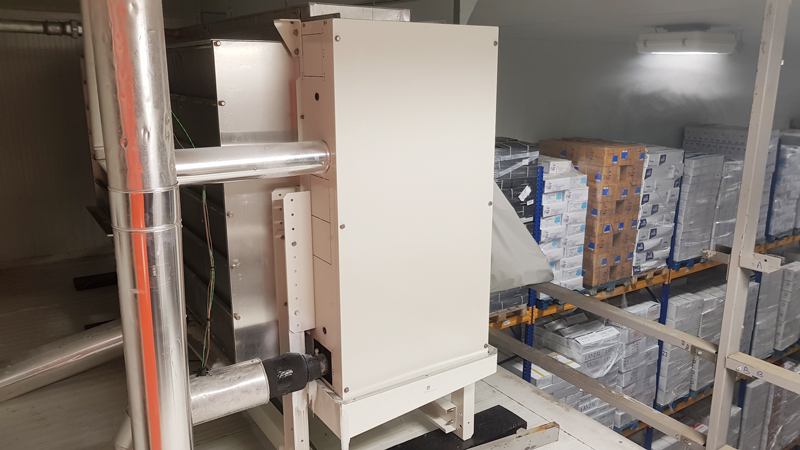 2018 - Industrial cubic evaporators - Stefani S.p.a.
Refrigeration system for preserving the packed product for distribution to caterers. LV-25°C cell with 7 industrial cubic evaporators with inspectionable water defrosting assembly. 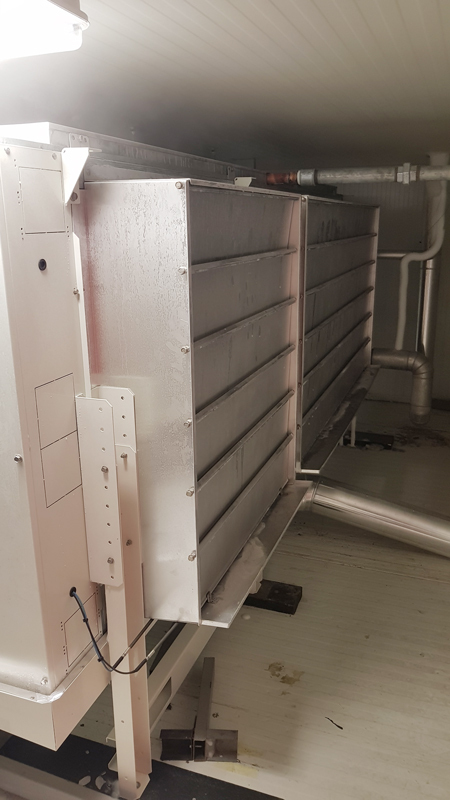 The solution allows an important reduction of defrosting time, of about -65%, thanks to the adoption of the kit of slide gates and textile sleeves for fans. Highly efficient system due to the absence of steam in the cell. Total installed power 350 kW with DT 7 °C with R507A. We thank our commercial partner for choosing the new solution with LV defrosting with water.